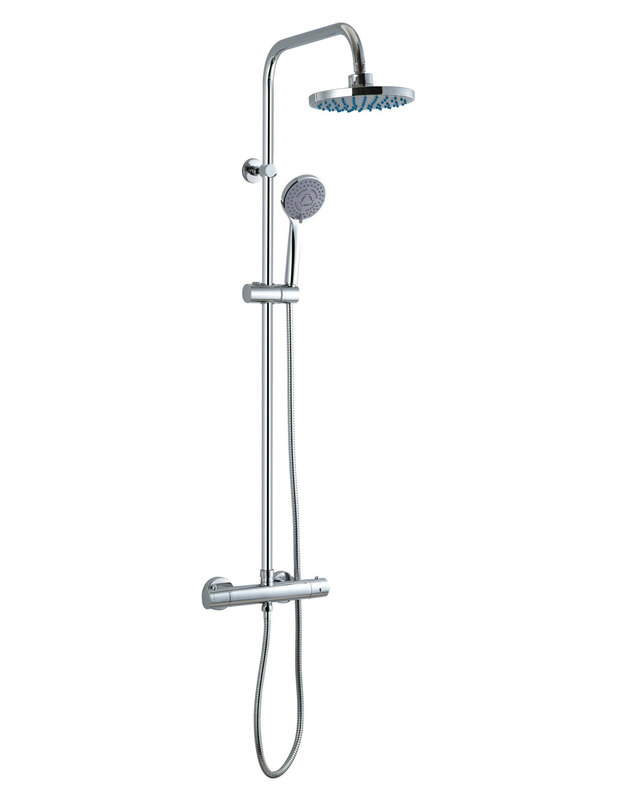 Mayfair Calcio Thermostatic Shower Valve With Kit gives you a complete choice of efficient answers to all your showering needs. 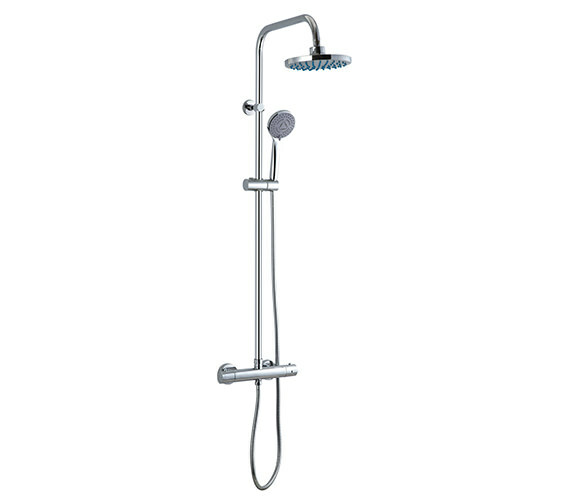 Its minimalist design is pleasing to the eye and is compact to fit in comfortably in any modern bath space unobtrusively. All elements of this set are finished in chrome for that glamorous effect. Make this sturdy and durable set yours forever with a five-year guarantee from the manufacturer against any defects. Manufacturing part number is CAL066. 5 years of guarantee from Mayfair against manufacturing defects. The diverter on this product is located on the valve itself, so it is easy to switch between the head and handset. 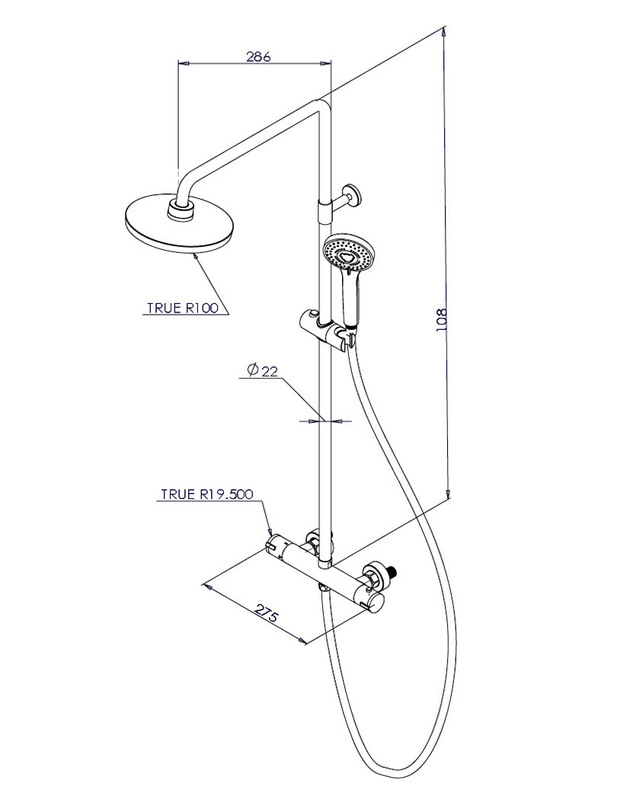 Is this shower suitable for a gravity fed water systems? This requires a minimum of 0.5 bar water pressure. As a rule of thumb, not exact, a one-meter height of tank will give you 1 bar pressure. You will, therefore, need to know at what height your tank is. Alternatively, you need a qualified plumber to check the pressure for you.